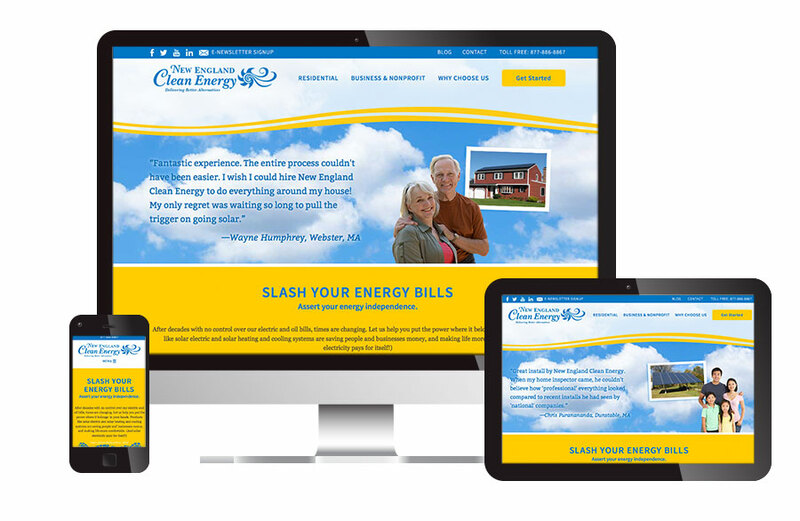 Visible Logic has worked with New England Clean Energy for many years, on many elements of their brand identity, including their logo, and now on this third iteration of their website. This latest version is built using responsive design. 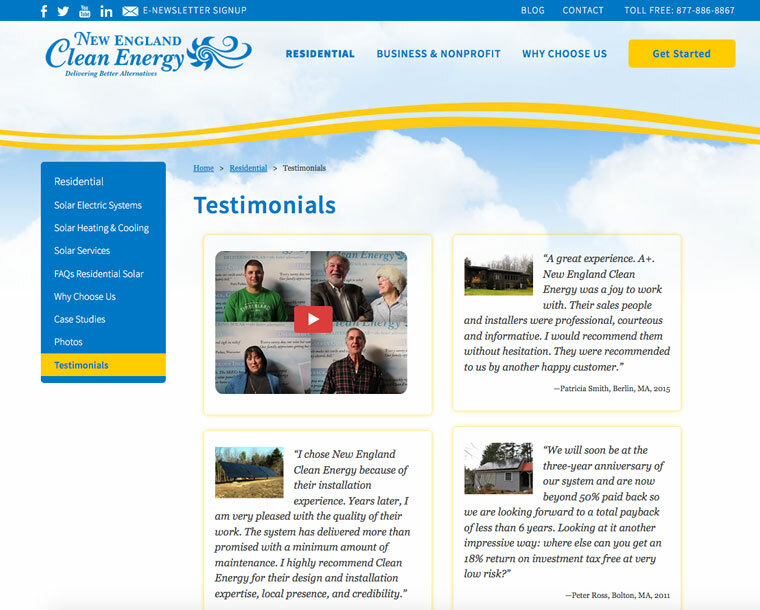 Over their 10 years in business, they have installed hundreds of solar panels, and this latest version of the web site features a searchable, filterable function for prospects to review their work. 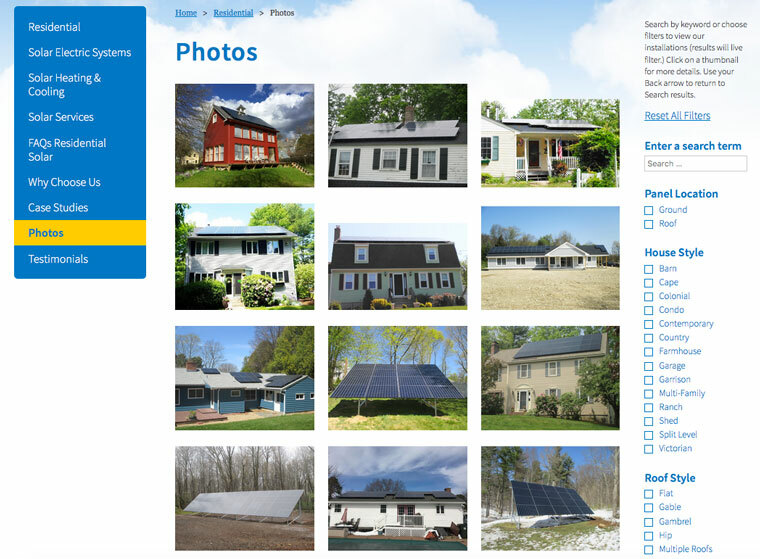 The gallery of client samples is now easier for prospects to look at examples of solar panel installation that matches their own criteria by filtering by home style, size of installation, or by city/town. The site is packed with information. Careful reorganization of content and editing of key pages made it easier for readers to find the relevant information they need to research their decision to install solar panels.